LEIZHAN headbox applies high technology and tailored design to meet various production requirements and to match different applications for high quality paper and board. New innovative headbox solutions, combined with the precise dimensioning know-how of today, have raised headbox performance to a totally new level. The headbox has the task of applying the stock suspension on the wire with a defined fiber orientation and at a uniform speed. 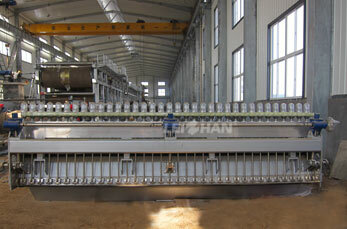 It can greatly influences the technological characteristics of a paper web and paper quality. 1. Excellent end product quality.